Melamine is an organic base and a trimmer of cyan-amide, with a 1, 3, 5-triazine skeleton. Like cyan-amide, it contains 67% nitrogen by mass and, if mixed with resins, has fire retardant properties due to its release of nitrogen gas when burned or charred, and has several other industrial uses. Melamine combines with cyan-uric acid and related compounds to form melamine cyanurate and related crystal structures, which have been implicated as contaminants or biomarkers in Chinese protein adulterations. Melamine can be used in decorative materials. As a decorative paper, melamine paper has following advantages: environment friendly, anti-dirt, fire resistance, scratch resistance, good anti-ultra violation performance and fadeless after long time, texture is clear and vivid. It is widely used for flat surface, such as laminated floor, furniture, all kinds of panels, HPL, MDF. Melamine chipboard is easy to use in the making of various furniture pieces. 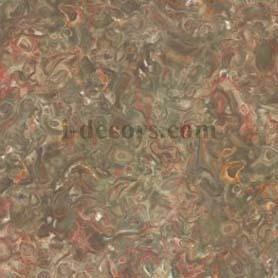 It is also available in different colors and finishing making it applicable to a wide range of decor themes. Due to its ease of use, it is perfect for do it yourself projects. Some filters also are made out of melamine. The material is porous and will admit substances to pass through but can be used to filter out particles of a particular size. These filters are capable of handling a high capacity, can be used in hot environments and are extremely efficient. Foam products also can be made out of melamine. This foam has a distinctive structure composed of stacked bubble shapes that are extremely hard and therefore can easily clean a wide variety of substances. Melamine foam is marketed under a variety of commercial names, including several sponge-like products that are known for removing scuffs and dirt from a wide range of surfaces. http://www.i-decors.com/ was established on January 2010 (the import and export window of T&Y Group), engage in the sales and marketing of various products and technologies of the group. Its main products are printing papers, melamine papers, finish foil, polyester paper, PU paper etc., and product size is from 790mmto 2130mm. It is widely used for furniture, laminated floor, cabinet, HPL, MDF etc.